DRC’s minister of mines, Martin Kabwelulu, said in a statement that the government has not benefited some companies over others, as a report from Global Witness exposed last week. According to that organization, Eurasian Natural Resources Corporation (LON:ENRC), one of the largest mining groups listed on the London’s stock exchange, acquired stakes in mining concessions at prices that delivered considerable – and quick – profits to an Israeli businessman with links to the DRC government. The Global Witness listed five deals completed by ENRC in the African country, questioning how Israeli magnate Dan Gertler’s offshore companies "obtained their licenses in deals that were conducted in secrecy and not subject to public tenders"; how the offshore entities "have not revealed their full list of beneficiaries [so] there is a risk that these beneficiaries could include corrupt Congolese officials"; and how "in at least two cases ENRC bankrolled the initial purchases by Gertler-related offshore companies instead of doing business directly with the Congolese government." In response, minister Kabwelulu claims all deals were conducted in strict compliance with the legal, regulatory and statutory provisions regulating the company and the process of license granting in the country. ENRC is not an isolated case of companies doing business in the DRC that have burned their fingers. Early this year, following a dispute with the DRC government over expropriation of one of its key assets, First Quantum Minerals sold out completely from the country. The Vancouver-based copper miner sold its Kolwezi tailings project along with the Frontier and Lonshi mines and related exploration interests for $1.25 billion, about half the value some analysts put on the projects before the DRC government stepped in. MINING.com in January wrote that as attractive deposits become harder and harder to find in traditional markets, miners are pushing the limits of the political risk they are willing to take on. Mr Mwanke was named in a 2002 report by a UN panel of experts on Congo as an illegal minerals profiteer and recommended for sanctions that included a travel ban and assets freeze. 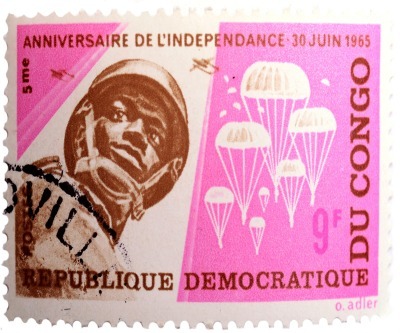 While he was subsequently removed him from all official functions, he maintained his grip on Congo’s vast resource investments and his political influence. KINSHASA, Democratic Republic of the Congo, June 18, 2012- A series of claims were recently made and propagated by several organisations regarding the process for granting mining licenses and the sale of mining interests by the commercial enterprises in which the Congolese government is the sole shareholder, each time to private investors in our country. The Ministry of Mines feels compelled to say that they feel the allegations made by the NGOs reflect their lack of information on the subject and a double standard. We would also like to question the contents of a recent report published by Global Witness. Gécamines is the main company to date in which the Government holds all the shares. The company's commercial work in the DRC again leads it to hold a major position in the mining sector, a position which will only be strengthened in the years to come. According to its policy, Gécamines works to develop its assets to create jobs for Congolese citizens and fiscal revenue for the national treasury. In order to improve its financial capacity, over the past two years Gécamines has drawn up a strategic plan which has instituted a programme that includes selling off assets of little interest in order to manage its debt, while at the same time consolidating its position in relation to other assets. This programme will ensure that Gécamines becomes a stronger and more effective mining entity in our country. In this context, following a complete due diligence process, and after an appraisal of all of the company's assets by internationally known financial institutions, certain minority interests in Gécamines' assets were sold at premium prices in relation to their appraised value. All these transactions were conducted in strict compliance with the legal, regulatory and statutory provisions regulating the company. The NGOs point to the involvement of off-shore companies in the asset-acquisition process. However, it should be noted that the use of special-purpose entities (SPE) set up in the British Virgin Islands (BVI), Bermuda, the Cayman Islands and other countries is a common commercial practice used by the world's large mining companies, including Glencore, BHP Billiton, Anglo American, Xstrata and others. These SPEs are a common practice intended to set up a structure for special activities or investments. They make it possible for independent investment entities to collect assets and all the permits and licenses. This means that all the transactions conducted by Gécamines followed standard practice in this area and, as such, they were transparent. All the SPEs underwent thorough KYC and AML reviews and completely satisfied requirements in terms of competency. Furthermore, Gécamines obtained the best possible price for the assets in terms of their appraisal, and it is with regret that we note what we feel to be a complete lack of understanding of the industrial sector by the NGOs that led Global Witness and its affiliates to arrive at conclusions we feel are inaccurate. It is worth noting that, in their conclusions, Global Witness and the other NGOs cited in particular Mr Dan Gertler and the Fleurette Group as being at the centre of these asset-sale transactions. For our part, in addition to what is stated above regarding the various asset transfers, we note that Mr Dan Gertler has invested in the Democratic Republic of the Congo for the long term through his companies, which have always obeyed the required regulations and standards. The Fleurette Group has teamed up with other international industrial players to create an investment flow that has been critically important for the development of local industry. The notion that there is something indecent in the fact that foreign investors structure their activities through companies set up in the BVI is a misreading of the practices relating to operations in this sector. The DRC wishes to do business with those who are prepared to share the risks. It also wishes to do business with those who want to work with it over the long term, for the benefit of the country and the Congolese people. "2012 has been a very good year for the mining industry, and 2013 will be a record year for development of the country's mining sector."